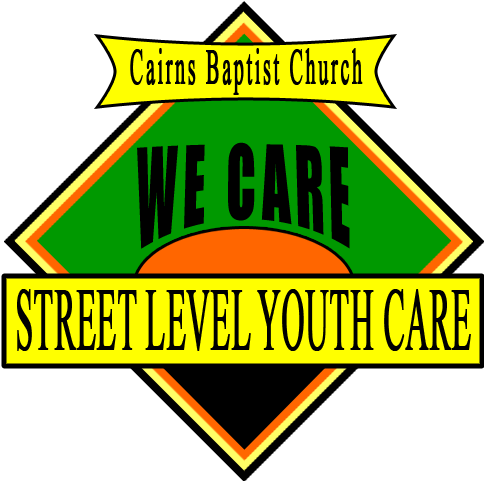 Street Level Youth Care runs totally on donations given from Individuals and Businesses in Cairns. SLYC does not receive any Government funding. More than 120,000 volunteer hours at local Cairns parks spent with more than 1000 young people 21 and under – feeding, supporting and sharing friendship. Over $1,000,000 (Commerical value) food donated to feed the homeless & disadvantaged young people of Cairns. All this is only possible because of the generosity of the people of Cairns, its suburbs and surrounding areas. Many different individuals and groups offer their spare time to help us out. These include Pensioners, Individuals, Youth Groups, Rotary Clubs, Lions Clubs, Lioness and Scope clubs, and some Schools. Absolutely! We can supply containers for anyone who wishes to cook up a batch of frozen meals for us. All donations should be made out to Street Level Youth Care, Cairns. You can also make a deposit through Internet Banking. Please click here to request a Tax Deductible Receipt.